COLUMBIA, SC (WMBF) – A bill that hopes to change the way that mental health patients are treated and transported will now head to the South Carolina House. The South Carolina Senate unanimously passed S303 on Tuesday. The bill would amend the 1976 code relating to the custody and transport of a person believed to have a mental illness requiring immediate care. It requires a doctor responsible for the patients’ care to contact a friend or relative and give that person the opportunity to transport the patient themselves. The friend or relative will then take responsibility and liability for the transport. The bill was filed after an investigation into the deaths of Nicolette Green and Wendy Newton. 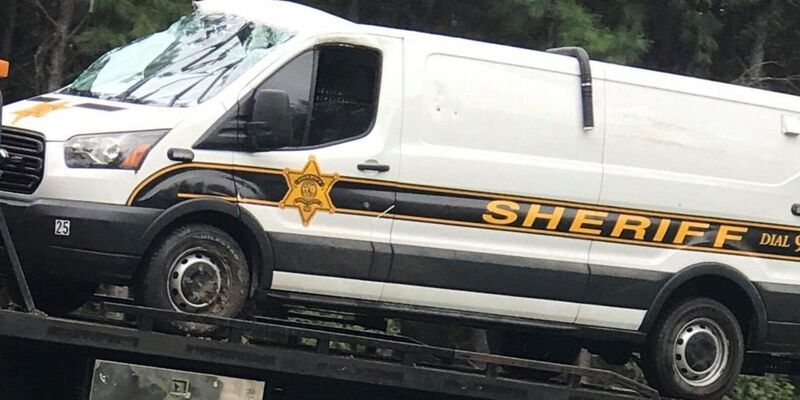 The women drowned inside a Horry County Sheriff’s Office transport van when the vehicle was overtaken by flood waters after Hurricane Florence. Green’s family said they were not told that transporting Nicolette on their own was even an option, even though the law states that it is. The bill also states that a state or local law enforcement officer responsible for transporting the patient must be part of a “therapeutic transport unit” and will be required to go through mental health and crisis intervention training. Former Horry County Sheriff’s Office corrections officers Stephen Flood and Joshua Bishop are charged in the case. Flood is charged with two counts of involuntary manslaughter and two counts of reckless homicide in Green and Newton’s drowning deaths. Bishop was in the front seat of the HCSO transport van. He is charged with two counts of involuntary manslaughter. During a court hearing on Monday, a judge ruled that probable cause exists for the case to move forward.